So, you have a spare room, loft or garage and think you would be better off storing your items in one of those places rather than at our self storage facility? You might think, ‘Why do I need self storage?’ We’re going to let you know why it is often better to store your items off-site with us instead. To start with, any of our customers tell us that by periodically sorting their belongs out and sorting items into those they want to keep and those they want to sell/recycle or donate they only ever keep the items they really need. By putting your belongings in your garage or loft you are less likely to be single-minded about the things you really need in your life. Clutter then begins to build up. 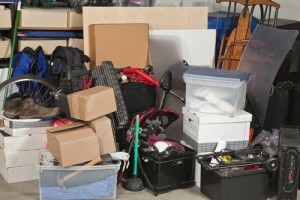 By emptying your spare room and storing your belongings with Guernsey Self Store, you will suddenly gain a room where you can actually make some money from it – either by turning it into a home office to run your empire from, or renting your room out on websites such as AirBnB where you can earn a great income simply by allowing a guest to stay in your place. Customers of ours often tell us that they are better able to concentrate in their new home office when they are not surrounded by clutter and boxes. And where a spare room is utilised, they are able to enjoy more guests. Garages are often another space in our homes which become a dumping ground for our belongings. How much better would our lives be if we could actually park our cars in our garages and keep dry getting into our houses, rather than risking being rained on and windswept outside whilst carrying all our shopping back into our houses? There is only so much weight your loft floor will take before your ceiling will fall in. The cost of repairing your sagging ceiling, versus the cost of self storage is always a consideration you should take! With our prices starting at less than the costs of a mars bar per day, you could save on your sugar intake and lose weight too. So if you’d like to save weight, money, time and your home from being ridiculous cluttered you really ought to call Guernsey Self Store now. Guernsey Self Store – it’s your space at our place!